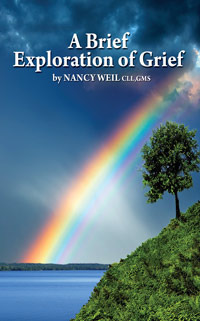 This booklet is designed to give you an overview of some of the common physical and emotional aspects of grief. Grief is a solo journey best shared with the support of others. You don’t have to grieve alone. There are many resources available that can help you as your heart heals and some of these are contained in this booklet. Regularly $4.97 if purchased separately. Included free with Bandages for Your Heart DVD or CD purchase.